From Skate Island we enjoyed a fast reach eastwards along the Ardlamont peninsula, which divides Loch Fyne from the Kyles of Bute. 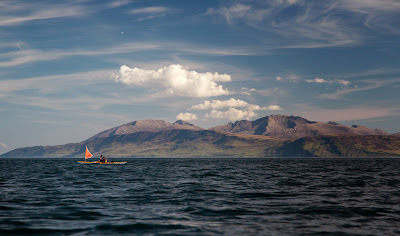 The cool clear air of the north wind and the low evening sun made for a breathtaking view over the Sound of Bute to Arran. We passed dolphins, porpoises, otters, puffins and diving gannets. 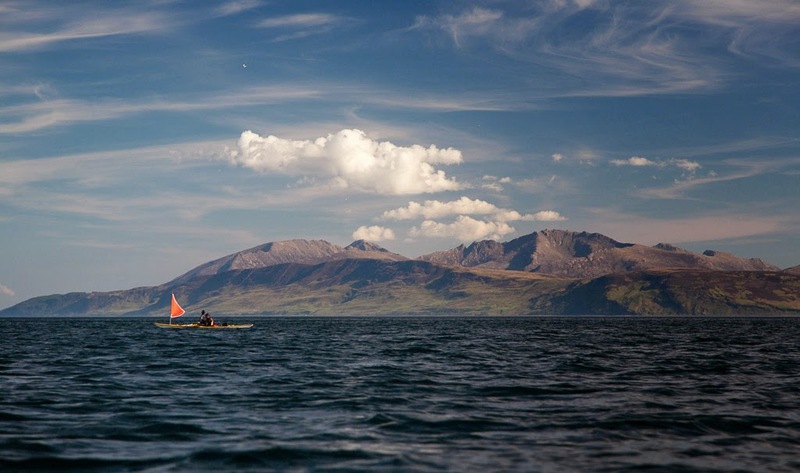 It was difficult to believe that this glorious wilderness was in the Firth of Clyde, in the catchment area of which, 3/5 of Scotland's population live. 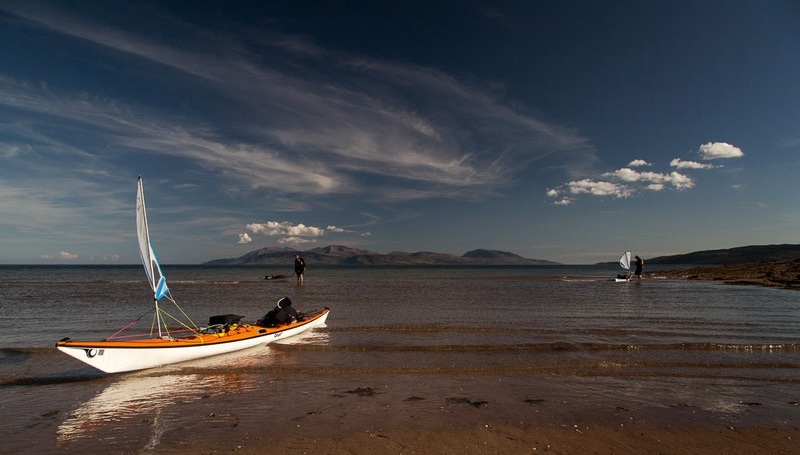 Many sea kayaking visitors to Scotland (and also many Scottish sea kayakers) tend to shun the Firth of Clyde and head north to places like Arisaig and the Summer Isles. Maybe the above photos might cause some wilderness seekers to think again. The Ardlamont peninsula holds a glorious little visited beach that you can only visit by walking in or by boat. It is Kilbride Bay. It has a huge crescent of sand backed by dunes and machair. We landed at its western end and had a well earned break while enjoying the view. 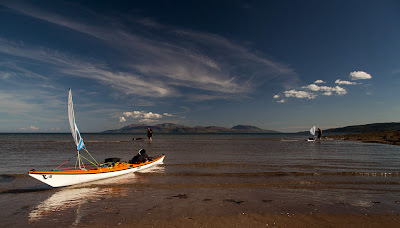 However, unspoiled though Kilbride Bay appears, it was heavily used in WW2 for army, air force naval training exercises.